Liechtenstein is the world’s leading exporter of false teeth. Schaan, the largest city in Liechtenstein, is the headquarters for Vivadent AG, and manufactures the most false teeth in the world. False teeth are shipped from Schaan to 120 countries throughout the world. Dental products of various kinds form the basis of Liechtenstein's economy. Over the years, the attractive designs of San Marino’s stamps have been extremely popular with philatelists around the world. 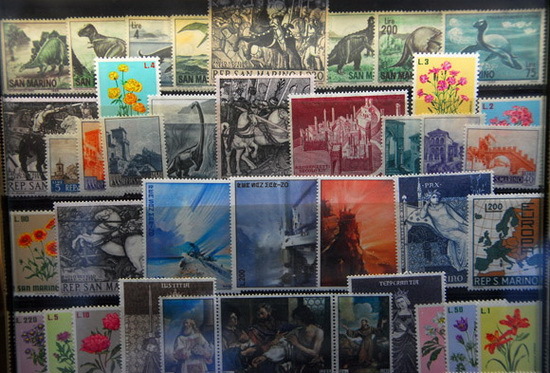 It is estimated that 10% of the republic’s revenue is generated by the sale of its postage stamps to international collectors. Lesotho is a small, landlocked country in southern Africa. It is the only country in the world with no land falling below 1,400 m above sea level. 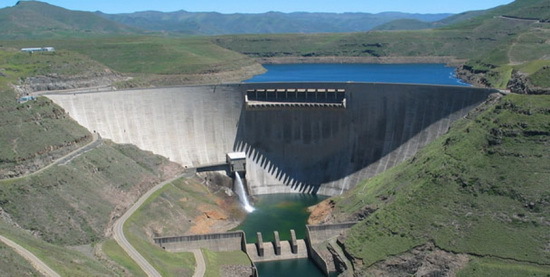 Because of its unique position Lesotho is also the major fresh water resource for southern Africa and the site of large dams designed to store and transfer large quantities of water to the industrial and agricultural regions of South Africa. Much of the country's export income comes from water. Nauru's economy is dominated by the export of phosphate, a mineral used as a fertilizer. 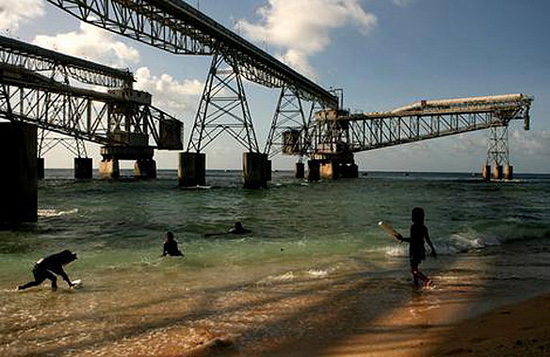 Phosphate has been the basis of Nauru's economy since 1906, when the island was a German colony. The decay of marine microorganisms on an atoll (a coral island made up of a reef surrounding a lagoon), supplemented by thousands of years of bird droppings, have made Nauru into an island made almost entirely of phosphate. Phosphate has been exported mainly to Australia and New Zealand, where it improved the poor soils in those countries. Phosphate mining has made Nauru very rich and provides citizens with some of the highest per capita incomes in the Pacific region. But phosphate mining has also seriously damaged Nauru's environment. Supplies of phosphate are running out and are expected to last no more than 5 years. 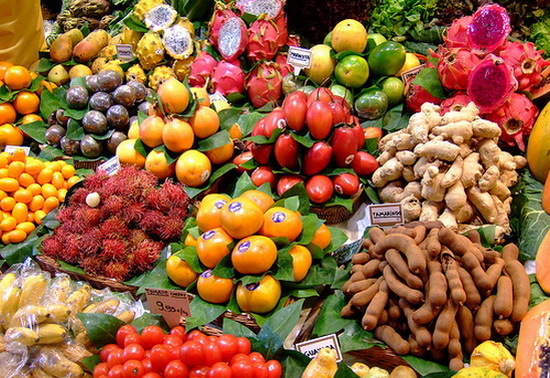 Belize exports tropical fruits and a rare fruits mostly unknown in the rest of the world. Karinowa fruit looks like a Kiwi but a very pale shade of purple. The skin of this fruit is hairy just like that of a kiwi, but the inside is a dark purple type color. Belize exports large quantities of this fruit, because of its rare quality. People say that it tastes amazing - like a mango, raspberry, strawberry, orange but tangy and sweet and sour all at the same time...sounds great! 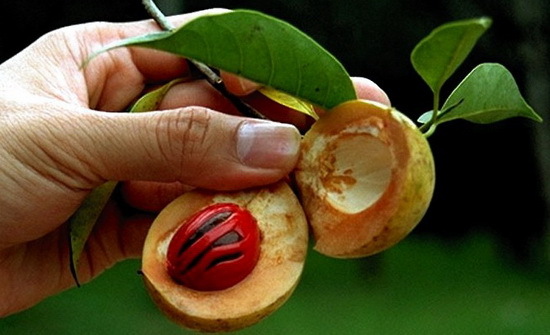 Nutmeg is a spice which is the dried ripe seed of myristica fragrans collected from an evergreen and aromatic nutmeg tree, usually 9 to 20m (30-65 ft) high. The odour of nutmeg is strong and aromatic and the taste is pungent and slightly bitter. Nutmeg is used for flavouring many dishes, usually in ground or grated form, and is best grated fresh in a nutmeg grater. Grenada has thousands and thousands of Nutmeg trees. This country is the world’s second largest producer of nutmeg after Indonesia, hard to believe for such a small island. 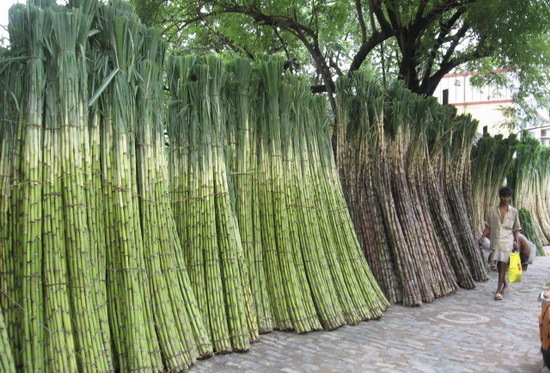 Sugar cane is vital to the economy of Mauritius. In 2004 it accounted for 19% of the value of exports and 5% of the country’s GDP. Sugar cane extends over 90% of the arable land, and 45% of the total area of the island is devoted to growing sugar cane. It also provides direct employment for 60,000 workers and small planters. Mauritius produces in the region of 630,000 tons of sugar per annum. This country is prone to recurrent cyclonic weather, which can impact the sugarcane crop, and consequently economic growth.